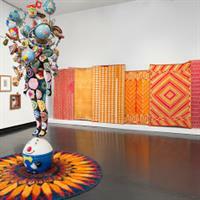 The Frances Young Tang Teaching Museum and Art Gallery at Skidmore College is a cultural anchor of the Capital Region, and one of the country's foremost teaching museums. It defines itself as a space for the interdisciplinary exploration of ideas and representation, particularly with regard to humanistic and sociopolitical concerns, and is a key space in which to address Skidmore College's strategic goals in the areas of diversity, integrative learning, and community engagement. This project provides the Museum with the opportunity to realize its values of teaching and experimenting with modes of object-based learning; thinking critically about artists and artworks, and how meaning is created; and reintroducing under-represented artists and archives to our community, the larger world of art, museums, and the history of art. The Museum is open to the public on Tuesday through Sunday from Noon to 5:00 PM, with extended hours until 9:00 PM on Thursdays. 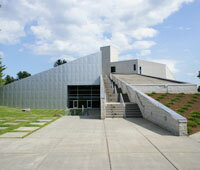 The Museum is located on the Skidmore College campus. From the main entrance on Broadway, follow the signs on Perimeter Road to the Tang parking lot.